Are These 5G Stocks About to Explode? Each year, several hot sectors experience huge momentum in the stock market. 5G Stocks within these sectors frequently experience huge gains, and it usually happens very quickly. What makes a sector explode? It could be a number of things, from advancing technology to changes in government policy to the whim of the public. But one thing’s for certain: Once a sector is hot, traders will be all over it. To truly set yourself apart from the pack, you need to change your strategy from chasing trading opportunities to finding them first. Instead of following the sectors that are already hot, try to identify them before they heat up. This way, you can benefit from buying low, and selling high. Hopefully, very high! Last week, I introduced what I believe is one of this year’s emerging and upcoming hot sectors: 5G technology. This week, I’ll build upon last week’s post by introducing three under the radar stocks to watch within this sector. Could these stocks be poised for growth in the not too distant future? Recap: Is 5G The Next Hot Sector? 5G stands for fifth generation. It’s the inevitable next wave of technology following today’s 4G network, and promises to be bigger and better and faster in just about every way. 5G technology doesn’t just amount to an update on your phone, though. It’s a brand-new style of technology, which graduates from today’s low frequencies to more powerful higher frequencies on the wireless spectrum. You don’t necessarily have to understand what that means in terms of technology. But what you do need to know is that the new technology will require an intensive new infrastructure buildout. Since the new high-frequency waves won’t travel as far, 5G technology will require a larger amount of smaller antennas, versus the current system of fewer but larger units. Hence the big buildout. The good news is that once in place, this new infrastructure should be able to withstand the next several generations of tech development. With internet usage only on the rise with the continued amount of connected devices, this means that there are plenty of opportunities for investing in companies related to the 5G sector. San Diego-based Airgain, Inc. specializes in the creation, installation, and test services of embedded antenna products. Its products are implemented in enterprise, residential, private, government, and wireless networks and systems — that is to say, their antenna network has a big reach. Founded in 2003, this company has firmly established itself in the wireless world, and works with carriers, OEMs (original equipment manufacturers), and ODMs (original design manufacturers). Given the fact that a new antenna infrastructure will need to be put in place for the new 5G systems, companies like Airgain could stand to benefit from the new technology in a big way. Ceragon Networks has been listed on the NASDAQ since the year 2000, but 2019 could really be a banner year for this wireless tech company. Based in Tel Aviv, this company manufactures high-capacity communication systems for wireless networks. Basically, they connect the cell towers to the core network, providing wireless devices with microwaves (though these ones won’t reheat your leftovers). They have a strong customer base of service providers, and work with hundreds of networks all over the globe. With a strong global presence, this established company could continue to grow in impressive ways with the advent of 5G technology. Considered something of an industry pioneer, this San Diego-based company enables mobile applications for service providers and businesses around the world. They provide telematics, analytics software, and services. They also offer fleet management, asset tracking, stolen vehicle recovery services, and usage-based platforms and business and device management services. With more and more devices being hooked up to wireless networks, their star could be on the rise as 5G becomes the norm. Over the years, the most successful method of trading that I’ve found is to focus on identifying hot sectors before they peak. I’ve developed a system for finding hot sectors ahead of the curve, including methods like identifying sector leaders, earnings winners, and finding hot IPOs. Are you interested in learning how to find the next hot sectors while they’re still heating up? If so, consider joining my SwingTrades program. In the program, I teach my students my methods for sniffing out potential momentum stocks so that they can potentially take advantage of emerging sectors. By joining SwingTrades, you’ll learn how to find and take advantage of hot sectors ahead of the trading masses. You’ll learn how to position yourself to maximize potential profits by being ahead of the trend. 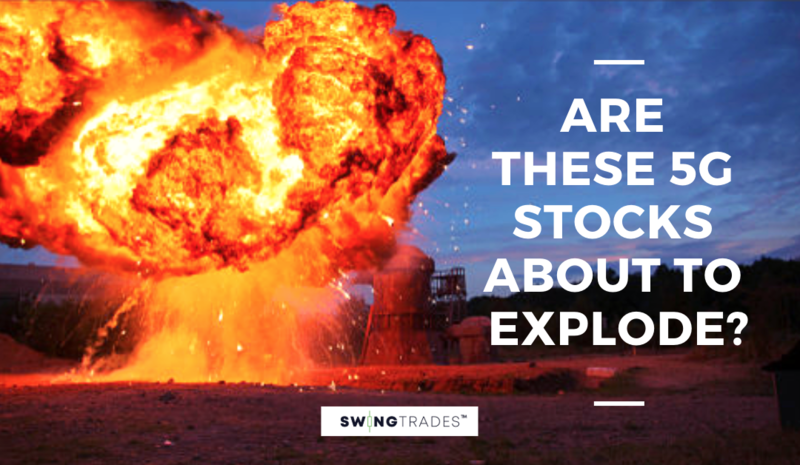 Have you explored trading in hot sectors? What has been your experience? Leave a comment and let me know! How Long Do Swing Trades Last? What Happens When Earnings Exceed Expectations ?